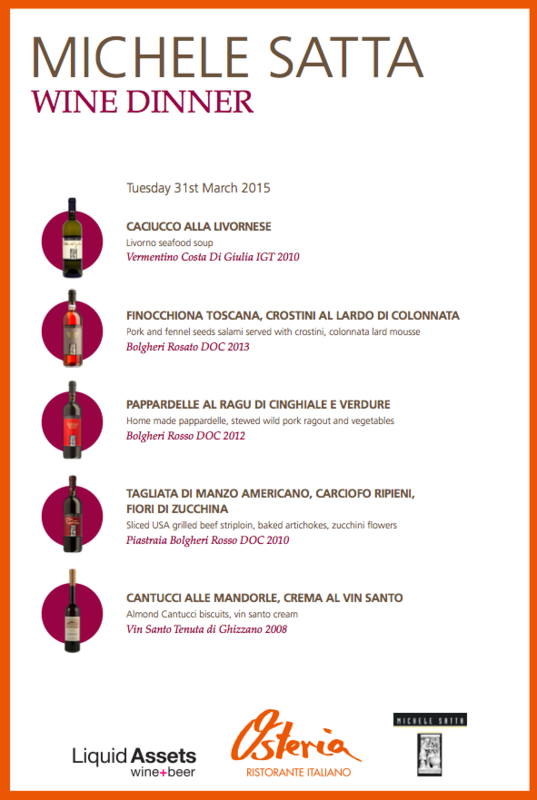 tasting event « Liquid Assets Limited: Wine & Beer! 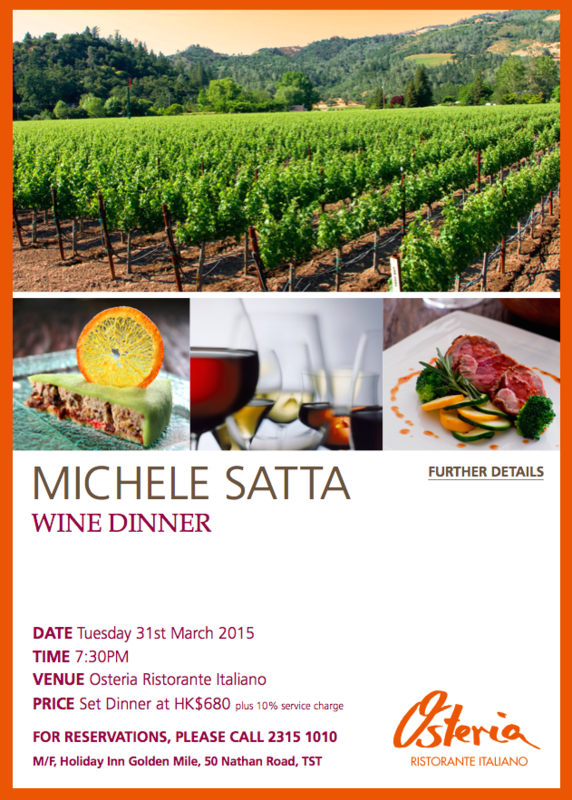 From the heart of the Bolgheri region in Tuscany, to the magnificent skyline of Hong Kong – Liquid Assets Ltd is proud to co-host a fantastic wine pairing dinner featuring the renowned wines of producer: Michele Satta, at the Osteria Ristorante, Holiday Inn Golden Mile. Join us for an evening showcasing four spectacular wines crafted with intricate detail and passion from the heart of the Tuscan coastline, and a “special guest” dessert wine from Tenuta di Ghizzano (Tuscany). 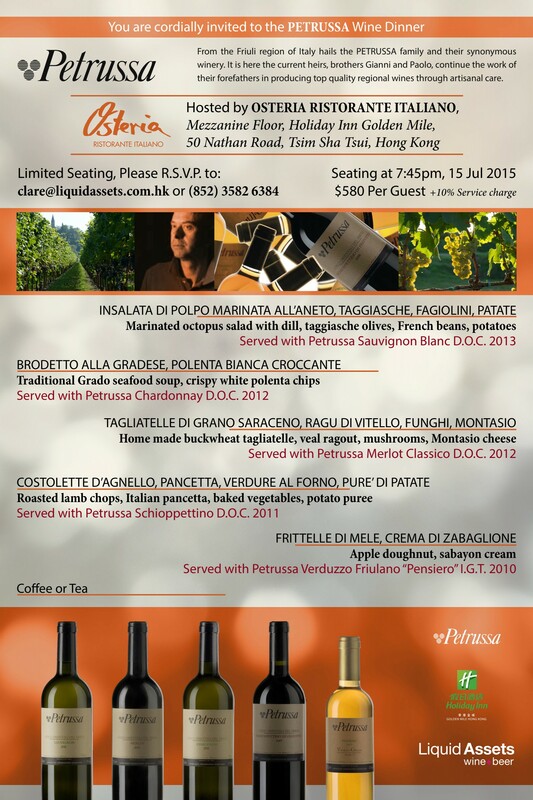 Liquid Assets is proud to kickstart the Year of the Goat with a sumptuous pairing of Sicilian Wines and exquisite food. A 6-course menu pairing with traditional Italian recipes will be paired with the delightful wines of Baglio di Pianetto – a rising star in the Sicilian winemaking industry. 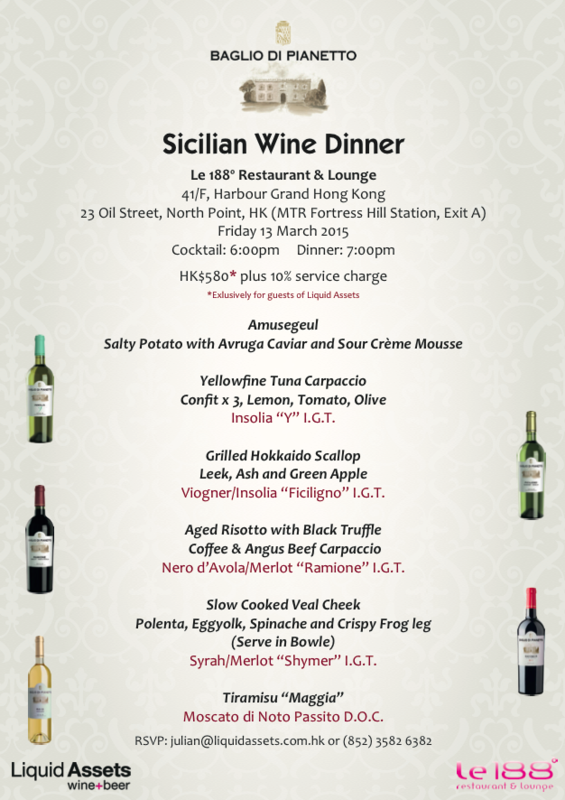 Location: Le 188 Restaurant, 41/f Harbour Grand Hotel, 23 Oil Street, North Point. Price: HK$580 per pax + 10% service charge. FOR ONE NIGHT ONLY! 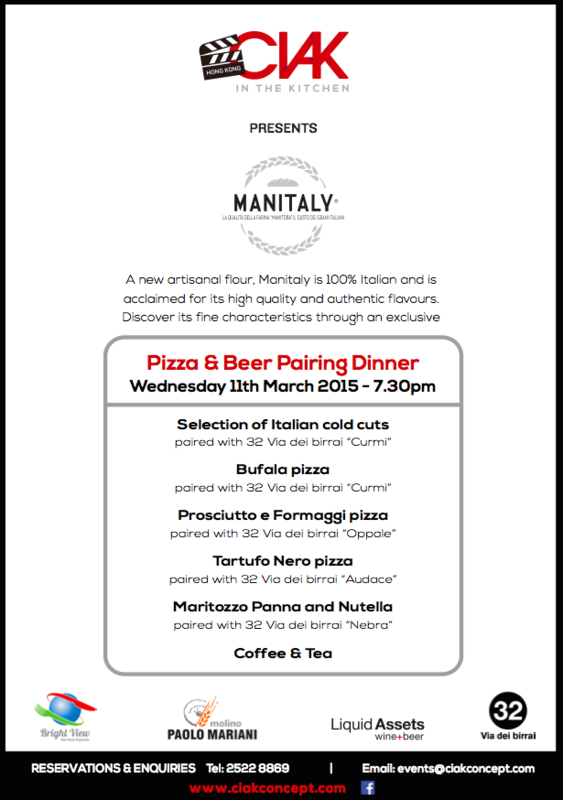 First time in HK & Asia: ManItaly Flour meets 32 Via dei birrai for a fantastic evening of artisanal pizzaXbeer pairing at CIAK In the Kitchen: 11th March 2015. Contact us for more details! 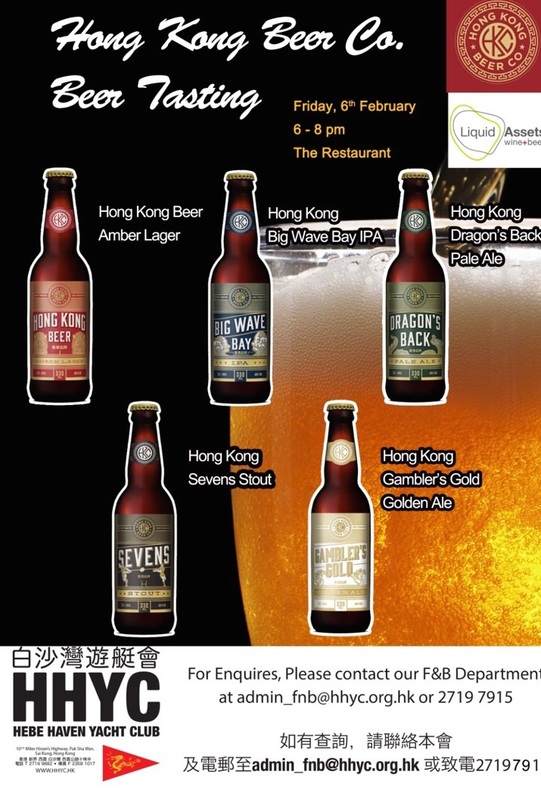 Don’t miss out on a chance to taste all 5 exquisite flavours of HK Beer Co.’s fresh brews at the Hebe Haven Yacht Club, Sai Kung! Friday, 6th February 2015 from 6pm-8pm. See you there!